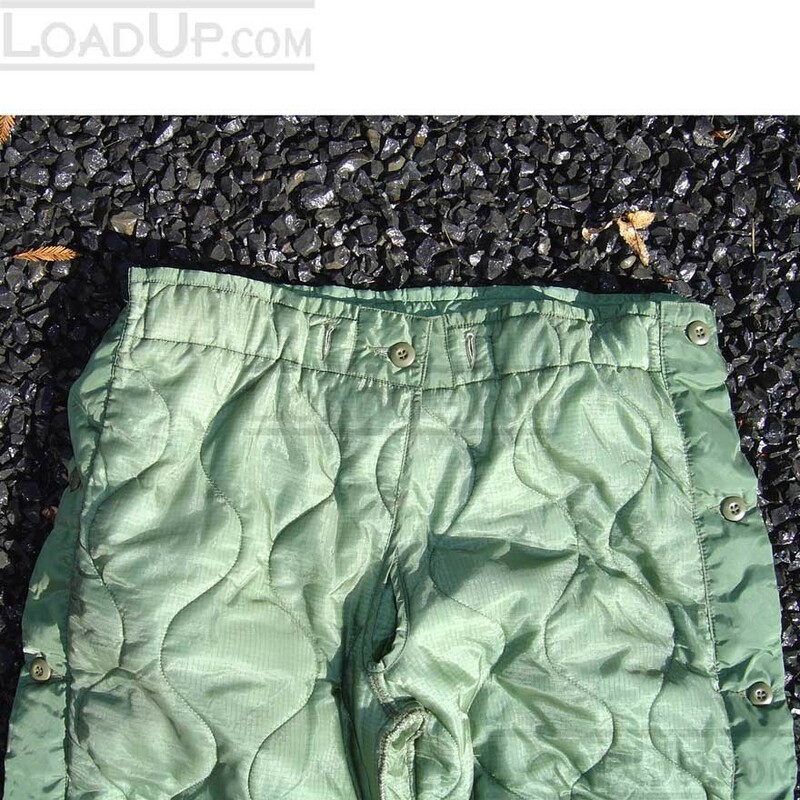 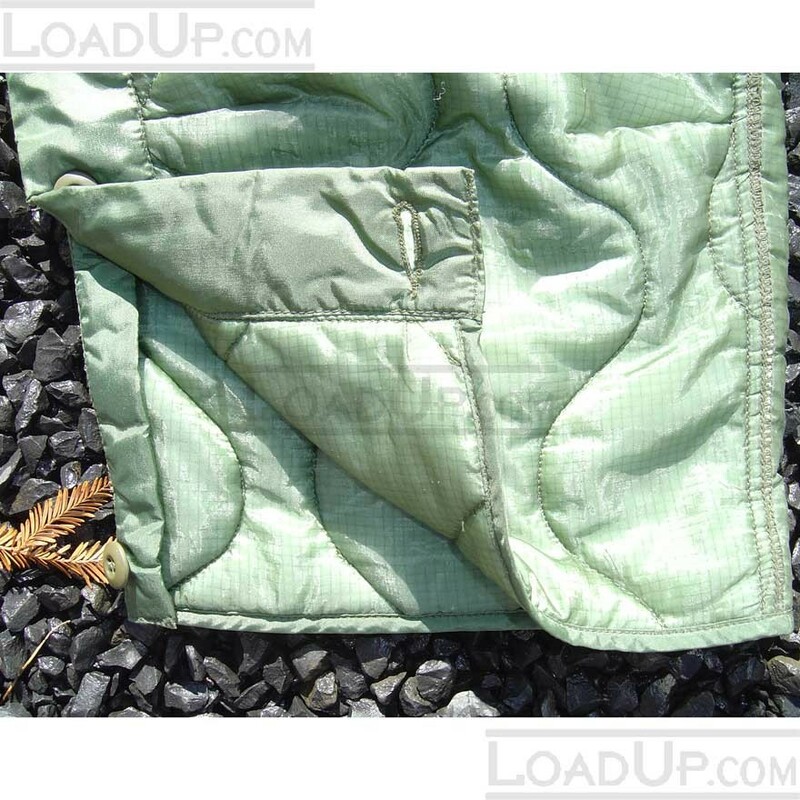 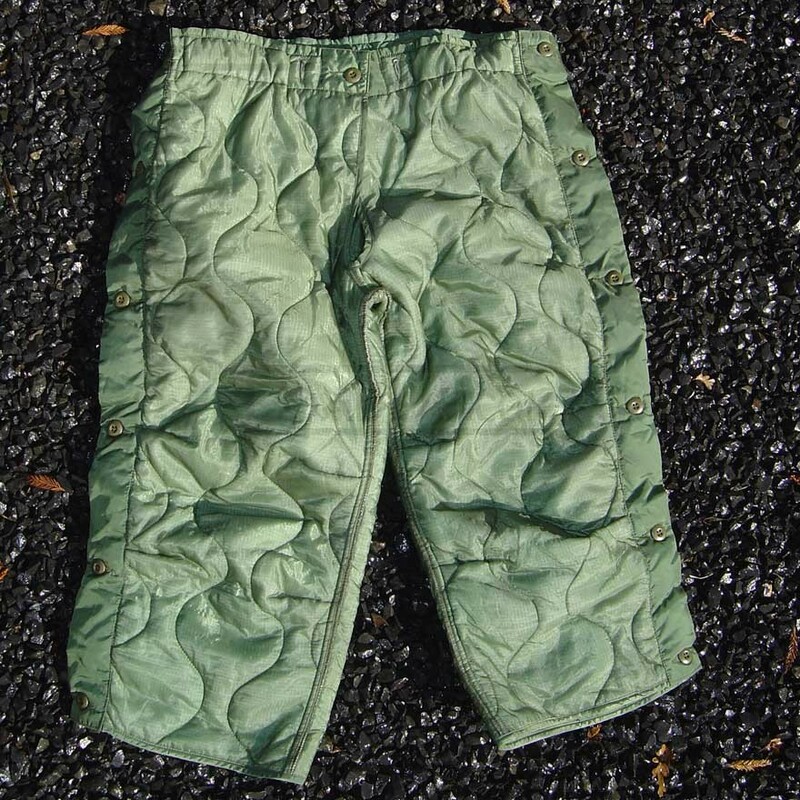 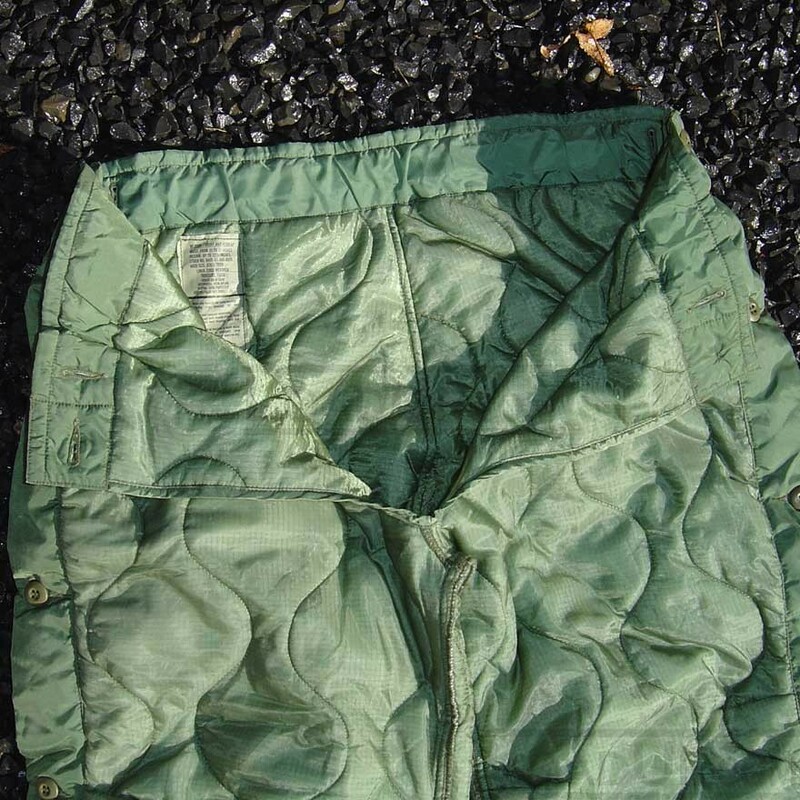 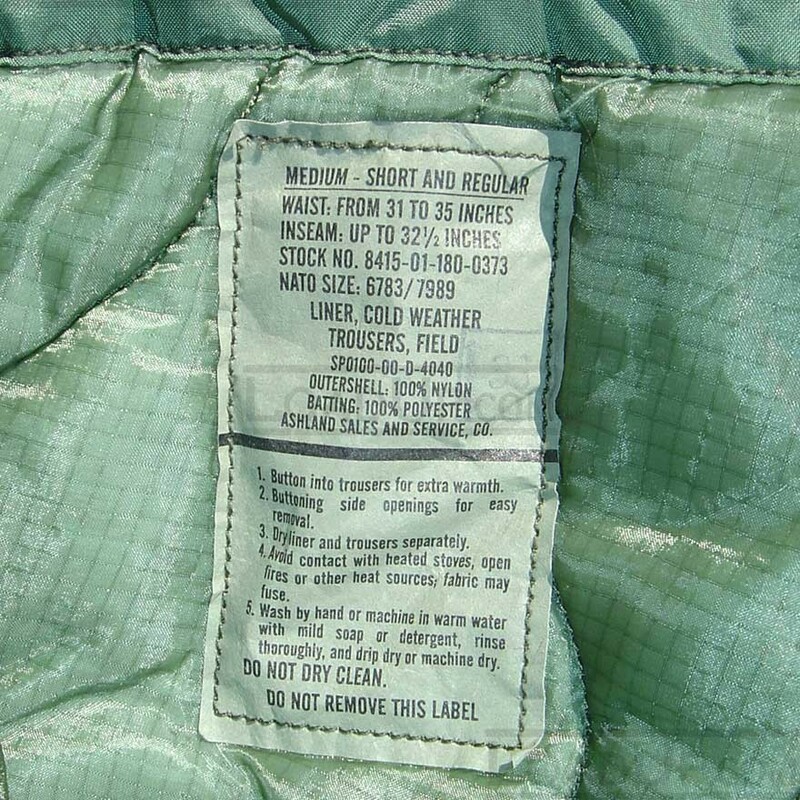 Insulated quilted liners originally made to button inside a M-65 trousers. 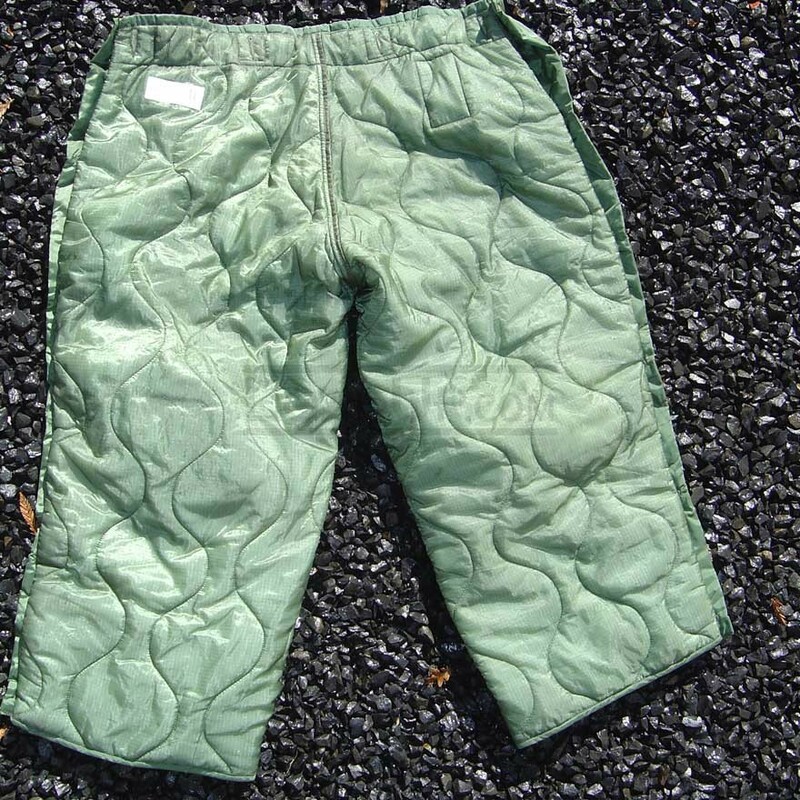 Button into trousers for extra warmth. 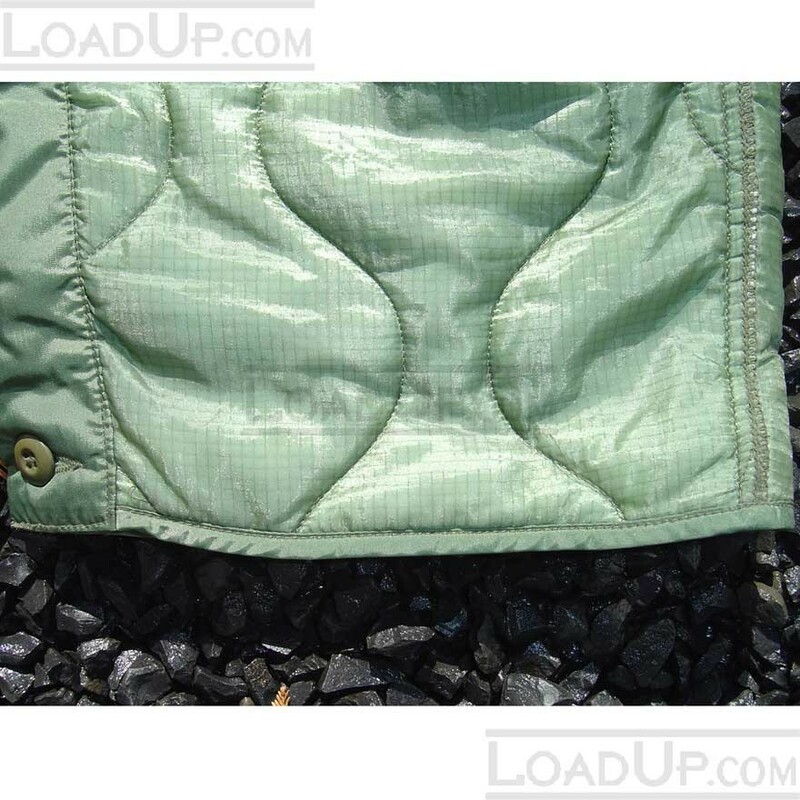 Buttoning side openings for easy removal.